Innovation is about ideas that make life better. But what does it really take to deliver innovative propositions? And what separates companies that drive their industries forward from those that simply talk the talk? This book takes you inside the minds of the world’s most effective innovators to answer these questions and more. In real stories from industries as diverse as healthcare, finance, technology and telecommunications, business leaders reveal what it takes to bring new products and services to life. They weigh in on the big debates: how to design an innovative organization of diverse voices, how to protect and grow ideas so they succeed, and how to tune corporate radar to inspiration and turn the signals received into new value. "Companies require special talents to develop new products and services that are not only meaningful to the user but also superior to competing alternatives. They need to collect and synthesize new and differentiating insights about user experiences with context information about emerging technologies, evolving market trends, and current and disruptive competitors (such as new startups). Successful innovation is necessary, not easy. But the good news is that it can be learned. Learning from the experiences of others through analogical reasoning is a particularly effective approach to master innovation. This highly engaging book provides numerous great experiences from talented innovators from across a wide range of industries. Travel along with their innovation journeys, enjoy the ride, and become more effective yourself in the sometimes bumpy but always inspiring process of successful innovation." Erik-Jan Hultink, Professor of New Product Marketing at Delft University of Technology, The Netherlands. 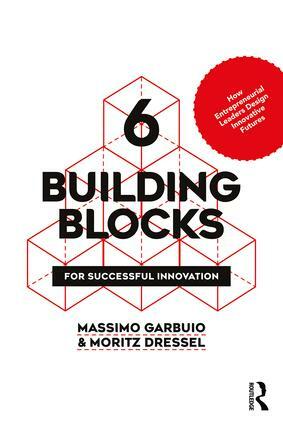 "6 Building Blocks for Successful Innovation is an invaluable resource for practitioners in the field. Equal parts cookbook for innovators and collection of innovation stories from diverse companies, countries and industries, it will sit on your desk, not your bookshelf." Phil Phelan, Vice President, Chief Strategy & Innovation Officer at Publicis Sapient, Australia. "Double Nobel laureate Linus Pauling attributed his success in generating novel innovations from knowledge acquired in multiple arenas. This text offers insights from a breadth of fields that can stimulate readers from any domain to leverage these creative journeys. The first-hand accounts are particularly compelling, and really communicate the critical role of context." Siri Terjiesen, Professor & Dean’s Research Fellow of Entrepreneurship at Kogod School of Business, American University, Washington, D.C., Director of the American University Center for Innovation (AUCI), and Professor at the Norwegian School of Economics, Bergen, Norway. Massimo Garbuio is a Senior Lecturer at the University of Sydney Business School, where he teaches and researches innovation, design thinking and strategy. Moritz Dressel worked at Deloitte as a management consultant with broad experience in large-scale business transformations.